The doctrine of respondeat superior (Latin for “let the master answer”) holds that an employer can be vicariously liable for the actions of an employee who is acting in the course and scope of employment. That sounds fairly simple, but there is actually a lot to unpack in that statement. For example, vicarious liability means the company can be liable even if it didn’t directly do anything wrong. There is also the distinction between, say, an independent contractor, and an actual employee. Questions might also be raised about whether a worker was acting in the course and scope of employment, even if he or she wasn’t technically on-the-clock. This brings us to a recent case out of California, considered by the California Court of Appeals for the Second Appellate District, Division Five. The car accident injury lawsuit involved a motorcyclist who was struck by a man driving a taxi. The taxi driver turned left into the path of the man on the motorcycle, who was ejected from his bike. 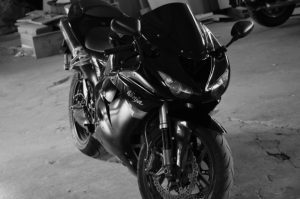 The motorcyclist suffered serious injuries as a result and filed a lawsuit against not just the driver, but the the company whose insignia and branding was emblazoned on the vehicle. According to court records, defendant describes itself as an association of taxi cab owners. It had franchise agreements with several cities in Southern California to operate the taxi service within city limits. Defendant’s company (we’ll call U.I.) had a wholly-owned subsidiary (U.S.) that was operated by the same people, using the same dispatchers and operating out of the same building. The driver of that taxi owned the vehicle and set his own hours. He was an independent contractor with U.I., to which he paid monthly dues and other fees to cover the company’s expenses. U.I. provided advertising and marketing and drivers each had the company’s phone number on the side. Customers who called that number were plugged in to a single dispatch site, and dispatchers would request a driver in the corresponding zone. Drivers could accept or turn down dispatch requests and they could also pick passengers up on the street if they wanted. Drivers all had to use the same dispatch and credit card equipment used by U.I., and charges were first paid to the company, which would deduct an accounting fee and then return the rest to the driver. Drivers had to accept all coupons and vouchers, which they could then submit for reimbursement. If a driver wanted to sell ownership of one of the company’s taxis, both had to notify the company and pay a $500 fee. The company also provided training to drivers and required them to keep copies of the training manual in the vehicles. The training manual spelled out the city’s department of transportation rules, but also had additional rules, that included forbidding drivers to smoke while driving customers, discussing politics or religion with customers and requiring adherence to a certain dress code. Failure to follow these rules was grounds for firing. The case made its way to the California appellate court following two motions for summary judgment and two jury trials. In the second trial, jurors sided with plaintiff, finding that the taxi company could be liable for the driver’s negligence because even though the driver was not an employee, he was an “agent.” An agent is one who works on behalf of a company, even if he or she has some freedom, such as setting his or her own hours and income is largely performance-based. An example might be a realtor. Courts have held that companies can be held vicariously liable as a principle for the torts of its agents – including car accidents. However, the company filed a motion for a judgment notwithstanding verdict, which was granted by the trial court, the court reasoned vicarious liability under respondeat superior could only be asserted if the driver was an employee or agent – and there wasn’t sufficient evidence of the driver being an agent. The appellate court reversed, finding plaintiff presented substantial evidence of agency to support the jury’s verdict, which was reinstated.